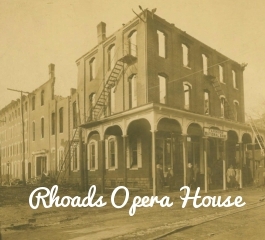 The Rhoads Opera House fire in Boyertown, PA, was one of the deadliest fires in American history, receiving international attention and influencing national fire safety laws. The pertinent details and interesting sidelights will be presented. Questions and discussion with the audience will be encouraged.